The Savoy Business & Learning Centre is managed by Black Country Housing Group's Social Business Team. 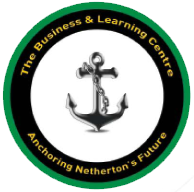 Our aim is to work in partnership with Dudley Metropolitan Borough Council, the Netherton Regeneration Strategic Group and other local and national organisations to provide a sustainable community venue “run by the community for the community” that will build and enhancy the capacity. to make the facilities affordable and accessible to all.